Popular town centre pub and restaurant. Close to bus and railway stations. Beer garden, well stocked bar, pool table, family run and friendly welcome. Bookings taken, coach parties and groups by arrangement. Weekly specials and interesting and varied menu. Contact us to discuss any special meal requirements. 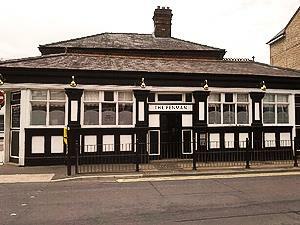 The Fenman, the station for all stations. Stop off on your journey, Blackfriars Road, King’s Lynn. The Fenman Freehouse is situated opposite the King’s Lynn Train Station (‘KLN’, PE30 1NX), and just a 2 minute walk from the King’s Lynn town centre.